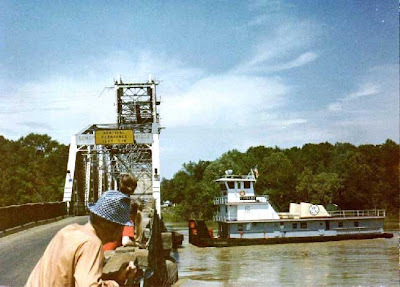 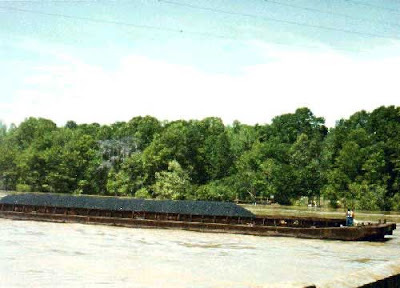 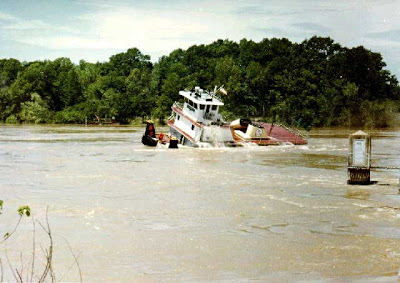 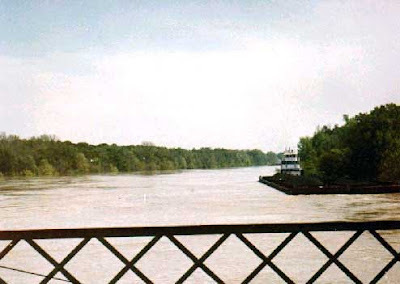 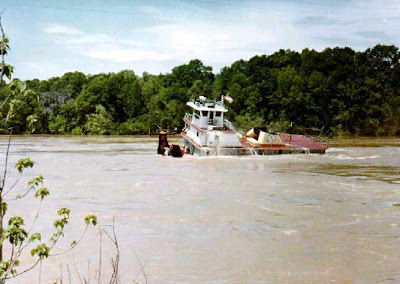 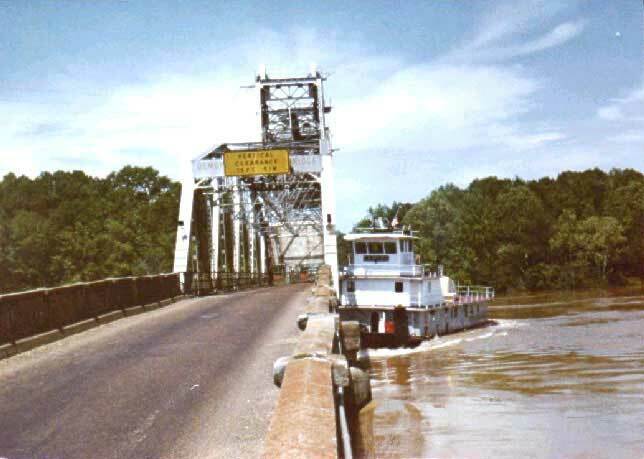 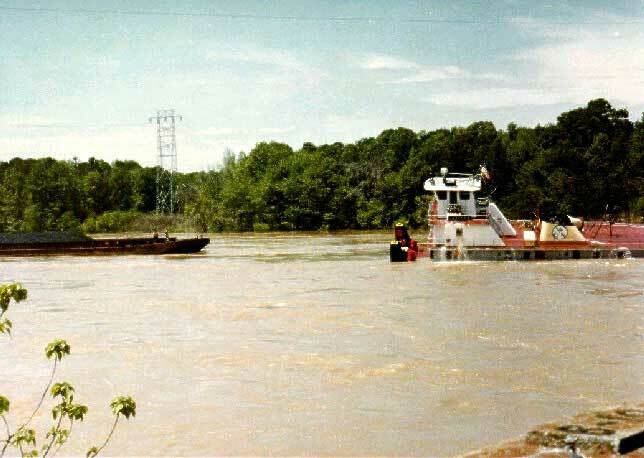 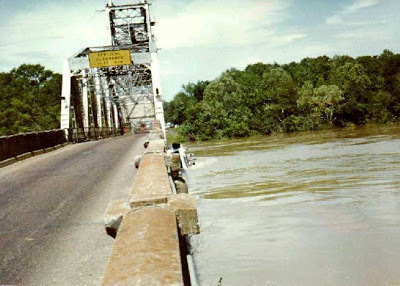 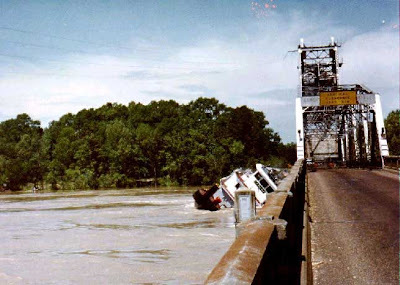 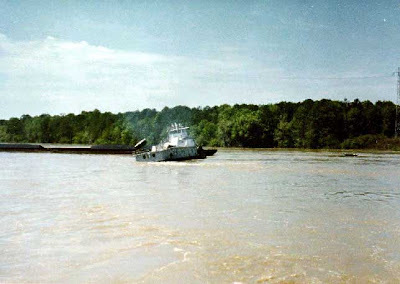 These are real pictures of an incident that took place at Rooseter Bridge on the Tombigbee River in southwest Alabama in 1979. The photos were taken by a photographer for the Linden Democrat-Reporter. 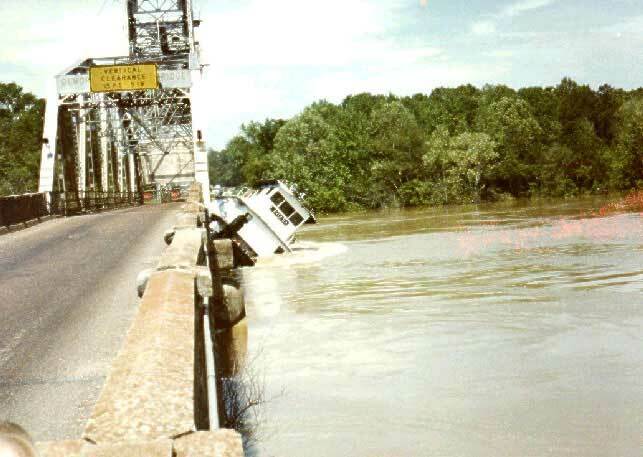 Scenario plays out like this. The captain was dropping 2 of his 4 barges through the east span of the Rooster Bridge, with the intent of running around through the lift span, and then catching the barges below. 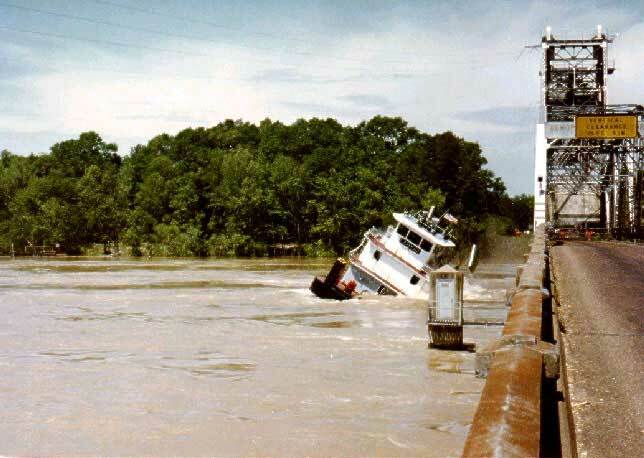 The captain underestimated the current and got too close the the bridge. He wasn't able to avoid a collision. 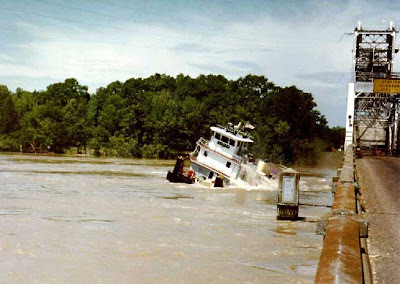 Through a series of complicated events (read about them here), he was turned sideways, sucked under the bridge, and popped out and righted on the other side, with the boat still running. 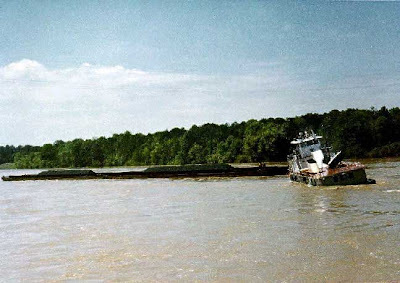 He was even able to meet up the the barges he had already sent through. Whoa! 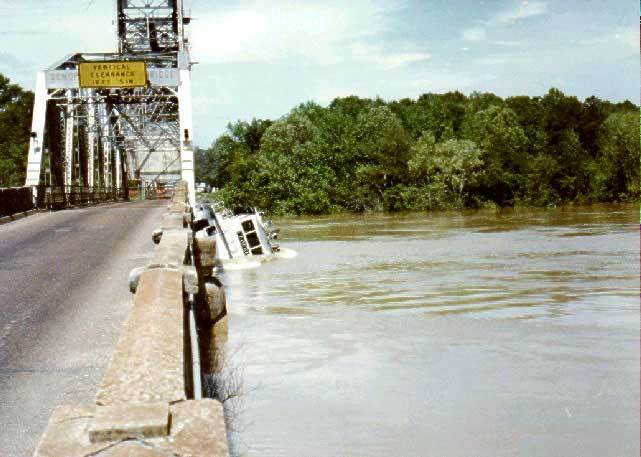 Are you sure that's not trick photography of some kind? 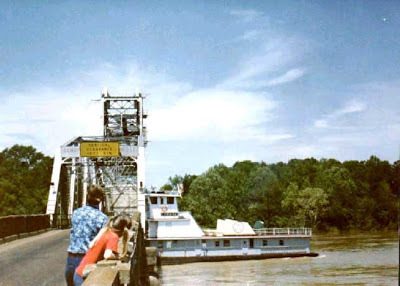 But the ship doesnt appear on the other side of the bridge? 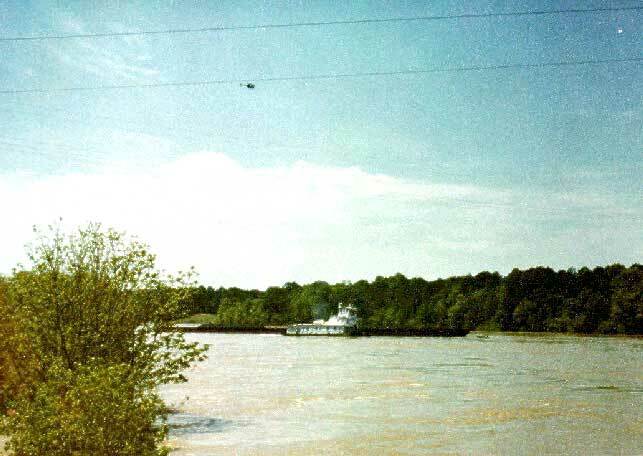 It always stays on the same side of it (side of high tower). Do they say - the ship swam under the bridge?